R.O.B. Us! (Raid Our Bookshop: Ultimate Sale) is back and it's more InTENse than ever! Check out these 10 massive book deals from June 9-27!!! 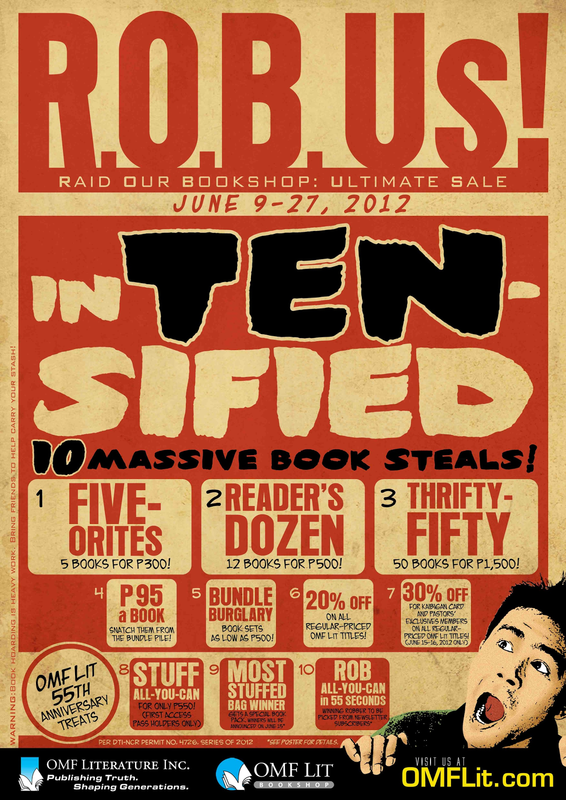 And because OMF Literature is celebrating its 55th anniversary this 2012, here are some special treats for you! What's Up For The Last Ten Days?